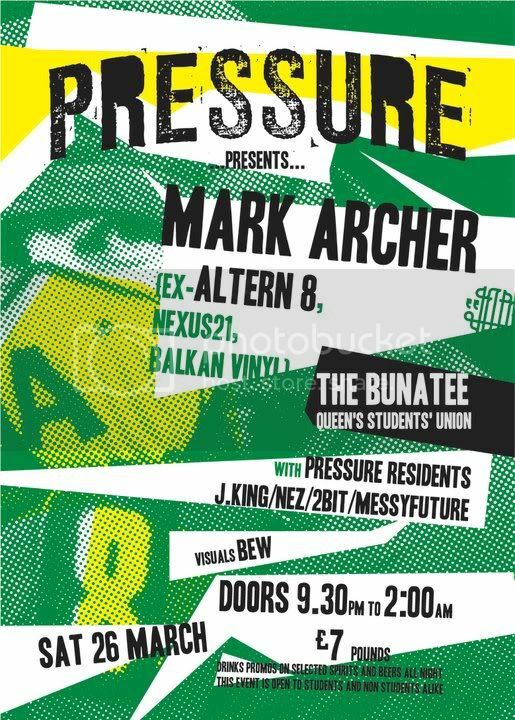 It’s gig time again and this one is gonna be a massive ol’ skool throwback session…special guest of the Pressure crew is Mark Archer, of rave veterans Altern8! We are _very_ excited about this one…glowsticks in effect! We’ve been taking requests over on the Pressure Facebook, so if there’s something ya wanna hear let us know! Kickin off at 9:30 with Pressure residents Nez, 2BiT, MessyFuture & J King, £7 door tax n cheapo drink deals.